CHECK OUT OUR 2019 SPECIALS! Alaska’s Big Salmon Lodge is a family owned full-service lodge located on the North End of Middle Island in Sitka Alaska, a 1200-acre Island in the protected waters of Sitka Sound. We pride ourselves on being able to provide our guest with top of the line accommodations and world-class fishing. The waters around Sitka Alaska are known for having some of the highest catch rates in Southeast Alaska, people travel from across the country to fish the waters around Sitka for Giant Kings, Coho’s, and Halibut. We offer our guest fully guided fishing charters as well as self-guided fishing trips for the more adventurous angler. 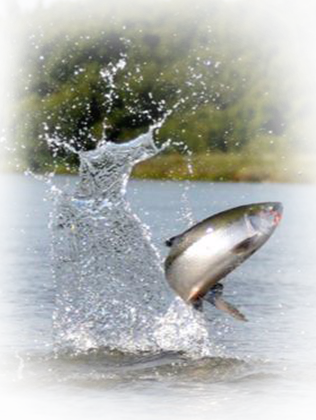 Here at Alaska’s Big Salmon Lodge, we want our customers to enjoy the beauty that Alaska has to offer. This is one of the reasons we decided to open a fishing lodge away from the city of Sitka (no cars, no traffic, no crowds), just Alaska and its natural splendor. Although our lodge is secluded and away from the city, we do offer our guest the ability to go to town and explore the city’s history and culture. 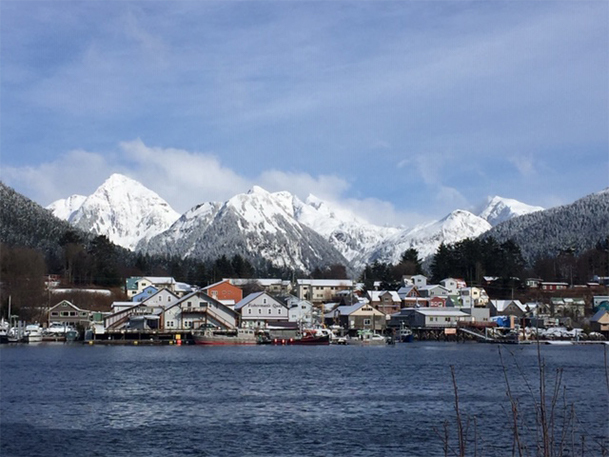 We will happily transport you to downtown Sitka where there are a variety of Historical sites and several shops where you can purchase souvenirs for family and friends. Delta and Alaska Airlines services Sitka with several commercial flights from the lower 48 daily on a Boeing 737. Alaska’s Big Salmon Lodge is the ideal place for someone that wants to fish the waters of Sitka and would like to escape the hustle and bustle and crowds of town. Sitka has some of the highest catch rates in Southeast Alaska. Easy travel to Sitka, Alaska Airlines offers commercial 737 service with several flights daily from the lower 48. Salmon migrate thru the waters around Sitka continuously throughout the season. Bright chrome hard fighting Salmon (best table fare). Fish for multiple species in the same day, giant Kings and Coho’s, barn door halibut, rockfish and lingcod. The commute from Sitka to our lodge is a short 10-15-minute boat ride (no white-knuckle puddle jumpers, no 2 hour commute from town to a distant lodge). The minute you arrive at Sitka, we take care of you. 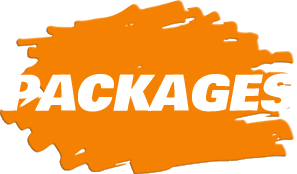 We will work hard to ensure you have an enjoyable and unforgettable experience. We provide our guest with the finest fishing charter, lodging and dining experience Alaska has to offer. Limited number of guest stay with us at any given time (8-10), we consider it a privilege to have you as our guest. You are more than just a face in the crowd here at Alaska’s Big Salmon Lodge. Our Alaskan style island lodge is remote enough so that you can experience the serenity of Alaska’s wilderness, yet close enough to town where you can explore Sitka and its culture.